Elephants don’t hurt others or put the whole herd at risk in order to climb up the social ladder. Unlike many human societies, status seeking is not a central element in elephant society. Instead, elephants respect experience over status. The matriarch is the oldest and largest female in an elephant herd. The matriarch might have learned survival tips decades earlier that come in handy to help the herd survive years later. For example, the matriarch might lead the herd to a water hole she remembers from years past. Families that have a matriarch over 35 years old have a better survival rate, so experience and age is extremely revered. 3. Help Children who need it, even if they aren’t your own. If a baby falls or is in trouble, all the females will run over to the baby to see if she is ok. If the baby isn’t, they will work together to save her. It’s such a beautiful thing when women work together for the good of all the children in the herd. It truly takes a village. Cynthia Moss, a renowned elephant researcher, saw a baby elephant fall into a steep-sided water hole while observing elephants. She watched as the mother and the aunt tried to lift the baby out and fail. Then, Cynthia Moss saw something beautiful. Other elephants came to help by digging and making a ramp to save the baby. Elephants are truly wise and understand the importance of cooperation and the value of teamwork. Elephants don’t stand for bullying. If an elephant is caught bullying a younger member of the group, he is reprimanded by other members of the herd. If males become too hormonal and try to take advantage of the females, they are promptly kicked out of the herd so that there are no unwanted advances and so that the herd can stay safe. Click here to watch a video of a fierce mama protecting her baby from bullies. There are countless stories of the ways elephants show empathy. For example, one time, researchers saw an elephant whose trunk was badly injured, which is a dire situation because elephants need their trunk in order to eat. A fellow elephant fed food into the injured elephant’s mouth. Elephants also show empathy towards other creatures. One time a man’s leg was accidentally broken during a confrontation with a matriarch. After the matriarch saw that he could not walk, the elephant moved him a short distance with her trunk and her front feet. She propped him up under a tree and guarded him throughout the night. Which lesson do you think is the most important lesson to pass on? 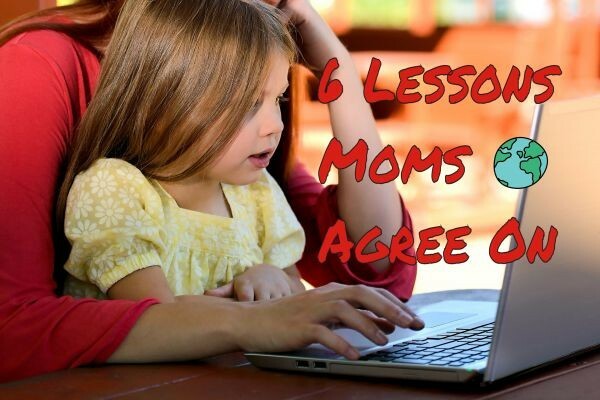 Let us know in the comments, and share this with your mama tribe to see what lessons they think are most important.